Home / News / What is Projection Mapping? 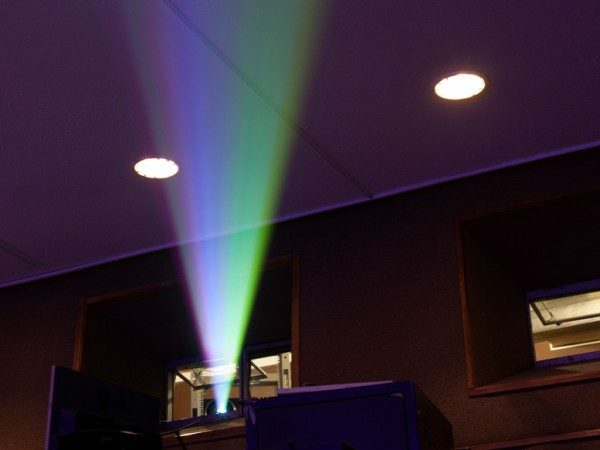 A projection is an image made of light that is beamed onto a surface or a screen. It typically inhabits a limited, defined space. We humans have always enjoyed creating art that tricks the eye into seeing what isn’t there. Also known as video mapping and spatial augmented reality, projection mapping transforms objects through projecting images on their often irregular shapes. Specialised software spatially maps out 2D or 3D objects in the virtual program that mimics a real environment. The techniques used for projection mapping date back to the late 1960s; one of the first public displays of 3D object projection was 1969, when Disneyland opened the Haunted Mansion ride. The projections on the fake disembodied heads made them appear animated. In 1980, artist Michael Naimark filmed people interacting with objects in a living room. He then projected it in the room, creating the illusion that the event was still happening. Project mapping was academically investigated for the first time a decade later, in the late 1990s at the University of North Carolina at Chapel Hill. The project Office of the Future aimed to connect offices from different locations as if they were all in the same place. Projection mapping lets you save on other physical décor costs, including their transportation and setup. With this innovative technology you can project anything you are inspired to – your creativity is your limit! Any design can be projected, allowing for a dynamic video display. Whether your event will benefit from 2D or 3D projection depends on what surfaces you have available. 2D projection works best on flat surfaces – like walls and floors. This projection has an added complexity of lining up the edges of the beams from different projectors in a way that deceives the eye into thinking they form a big, unbroken image. 3D projection draws on various projectors and on 2D projection to map images onto 3D objects present in the world. Especially created objects for projection mapping are able to create beautifully intricate designs that work interestingly with the projections. If you’re looking to add another layer of creativity in your event, here at Pro System Services we have professional AV hire including lighting, sound, and (of course) video to ensure that your event runs smoothly. Contact us on 020 8819 9875 to speak to our highly skilled team; we’re always happy to help! Alternatively, you can find us on Facebook to see our latest updates.